The Metro system could be expanded to new destinations using cash from a £1.22billion cash pot, a Government Minister has said. North East leaders have made the case for expanding the Metro system to new destinations, with stations in Washington, Seaham and Doxford among those mooted. MPs have since been putting pressure on the Government to provide the cash needed to make the vision a reality, with Washington and Sunderland West MP Sharon Hodgson and Easington MP Grahame Morris both raising the issue in Parliament. Mr Morris raised the issue again this week, pushing the Department for Transport to create a dedicated fund for expanding the Metro system. He tabled a question asking: "Pursuant to the Answer of 2 April 2019 to Question 238325, if will (sic) establish a fund specifically for the extension of the Tyne and Wear Metro that can be drawn down by Nexus to improve connectivity and further develop a North East Regional Light Rail Mass Transit system." Andrew Jones, Parliamentary Under-Secretary in the Department for Transport), replied: "While the Government has no plans to establish a specific fund for the extension of the Tyne and Wear Metro, the North East city region has been shortlisted for a share of £1.22billion from the second tranche of the Transforming Cities Fund. "We await formal receipt of their proposals later this year, which could include proposals for enhancing the Tyne and Wear Metro." The North East Combined Authority (NECA) is a legal body that brings together the four councils which serve County Durham, Gateshead, South Tyneside and Sunderland. 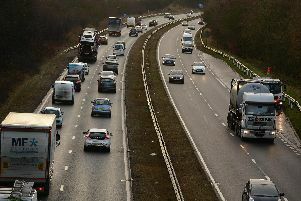 The group looks at means of improving the region's transport connections as part of its remit, via the North East Joint Transport Committee. We reported last month how the committee is preparing to make its case to the Government for a significant widening of the Metro network into under-served communities, plus a raft of other new rail services linking to Northumberland and County Durham.